Dusun Matahari Sdn Bhd manages some 300 acres of orchards at the TKPM. Fruits planted included Tropical Citrus (Calamansi, Key Lime, Kaffir Lime) , Nangka, Cempedak, Durian, Sour Sop, Guava, Kedongdong and some minor crops. The farms are set on rolling hills at the foothills of the main range, a serene setting for the fruit trees to thrive. 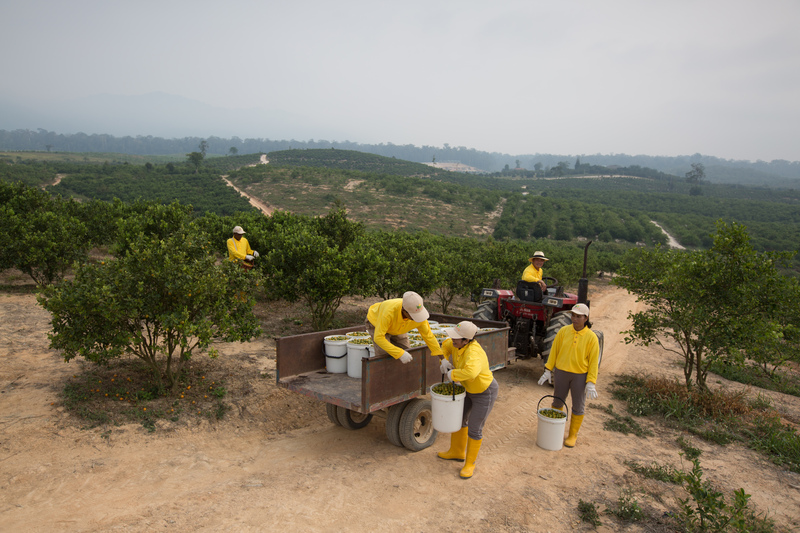 The Sun Farms have been developed since 2005, together with the Calamansi plants with Sinaran Salju, this area has one of the largest production farm for tropical citrus in Malaysia. The frutis are harvested year round and are sold as fresh fruits, processed into purees and ready to drink health drinks and essential oil for beauty care products. 8, Jalan PJS 3/49, Taman Sri Manja, 7th Miles, Off Jalan Kelang Lama, 46000 Petaling Jaya, Selangor, Malaysia.